A common problem for new motorists can be how to recognise the different types of crossings in use on UK roads. Sometimes, when we’re driving it can be easy to momentarily panic while we rack our brains as to how we should react when faced with each one so it’s essential you’re familiar with the rules. The three most common types of road crossings we will encounter when driving are the Zebra crossing, the Pelican crossing and the Puffin crossing. Even if you’ve watched hours of David Attenborough documentaries, it can still be difficult to distinguish each one and understand why they’re named after each animal. The Zebra crossing is the easiest to recognise because it consists of black and white stripes that form a path across the road. Zebra crossings also have a flashing yellow Belisha beacon at either side of the carriageway. A fun fact, the Belisha beacon is named after Leslie Hore-Belisha who was the Minister of Transport responsible for them being introduced in the 1930s. 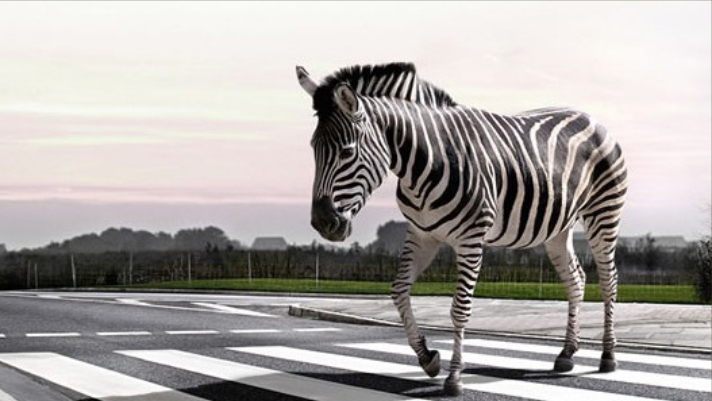 Pedestrians have priority at Zebra crossings so you must stop and let them cross. It’s important that you recognise a Zebra crossing when approaching it and scan the pavement for anyone waiting to use it. It is expected that pedestrians do not cross until they’re sure the driver has spotted them, though this doesn’t always happen. You should use a mirror, signal, manoeuvre technique when approaching and stop before the dotted white line. Zebra crossings have white zigzag lines on their approach and you must not park or overtake in this zone. It’s helpful to remember that Pelican is short for Pedestrian Light Controlled Crossing. This will help you remember that these types of crossing are operated by the press of a button on the side of the road. Approaching vehicles are halted by traffic lights and pedestrians are notified to cross by a visible ‘green man’ displayed opposite and an audible signal. When the red traffic light shows, you must stop. When the traffic light displays a continuous illuminated amber one you must be prepared to stop. When a flashing amber light is displayed you need to give way to any pedestrians still using the crossing and when it turns green you can proceed but always check for anyone in the way. Puffin crossings are identical to Pelican crossings but they’re a little smarter. Puffin stands for Pedestrian User Friendly Intelligent crossing because they’re fitted with sensors which can tell when the crossing is clear or if there are pedestrians taking a little while to cross the road. Note that on Puffin crossings, the signal to tell pedestrians when to cross is beside them and not opposite. You should apply the same principles when approaching a Puffin crossing as you do the Pelican crossing. Look out for anyone at the side of the road when approaching, apply your mirror, signal, manoeuvre routine and prepare to stop. Puffin crossings do not use the flashing amber traffic light.